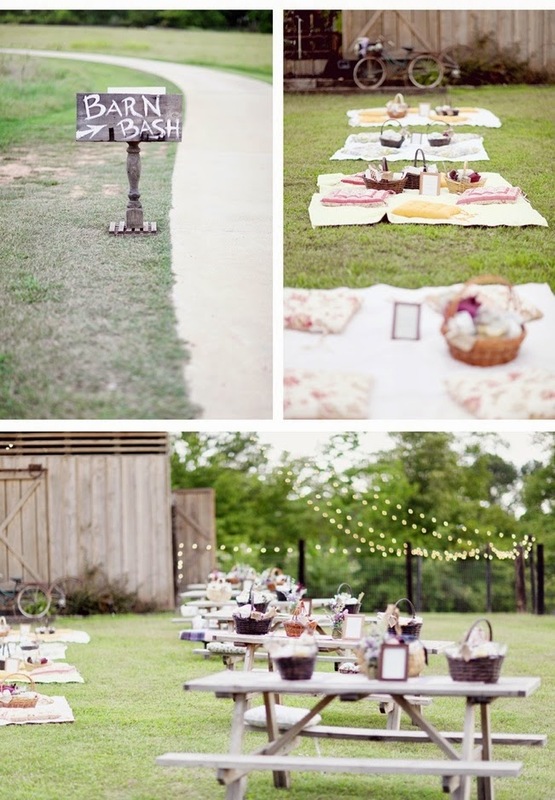 Memorable Wedding: Are You Choosing to Have A Picnic Wedding? 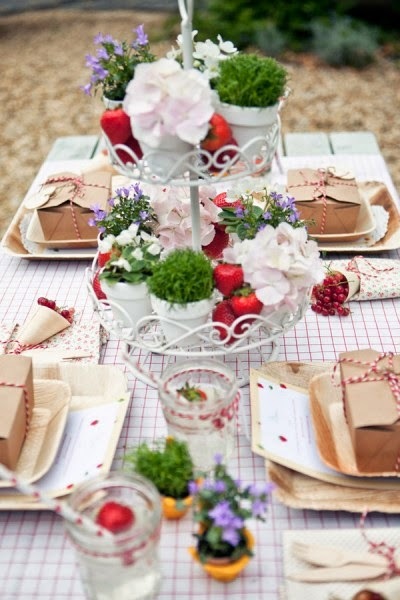 Are You Choosing to Have A Picnic Wedding? 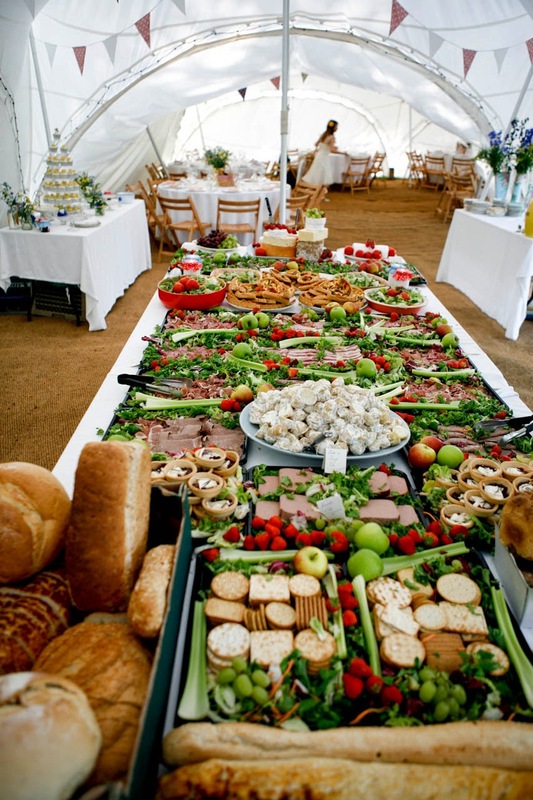 If you are planning to have a picnic wedding there are a number of things I can suggest that will help to make it go more smoothly and be remembered for a long time. You will want to choose a location with lovely surroundings donated by nature, and not an area that is just sort of plain. After all this is your most special of days and you and your guests will all benefit from nature's beautiful backdrops. 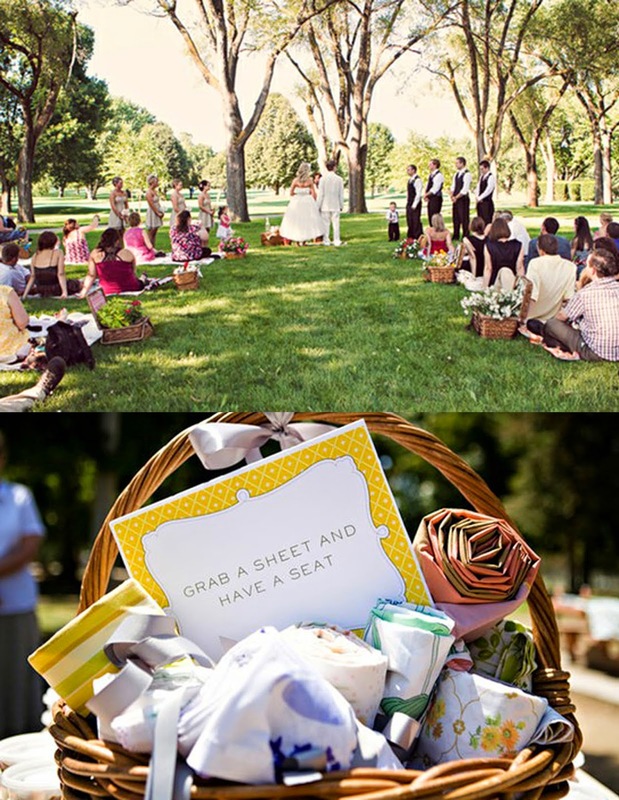 As you plan your picnic wedding I hope this will help you have fun planning the day. 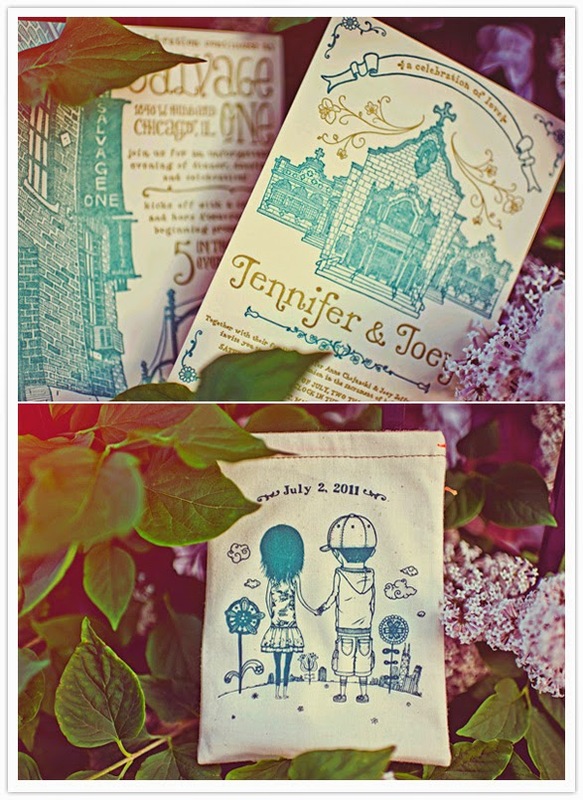 Let your invitations tell the guests it will be a picnic wedding. 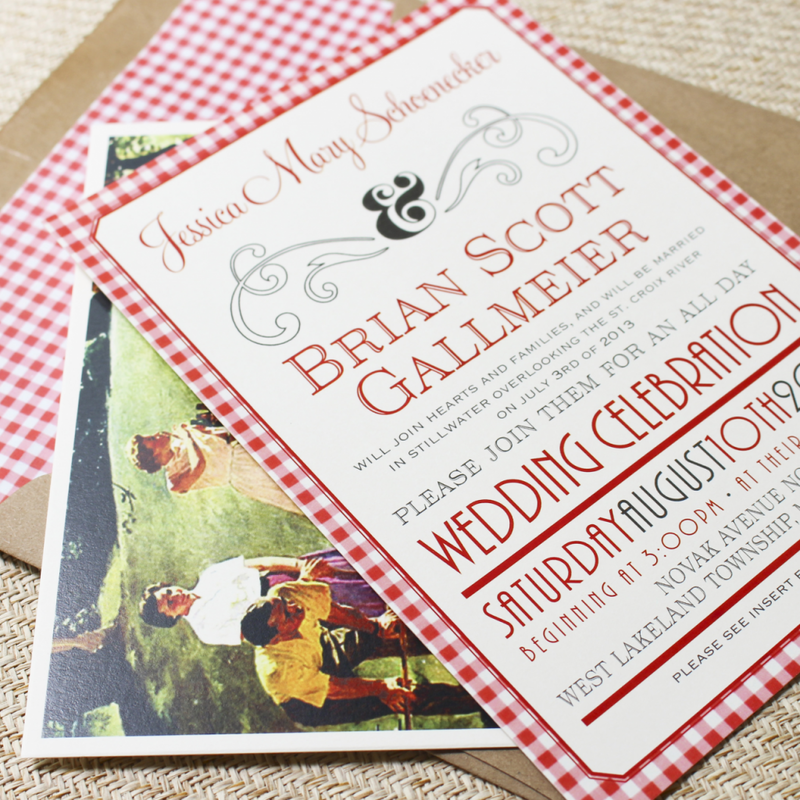 Don't neglect to mention on your invitations that the wedding reception will be a picnic so everyone can come dressed for that kind of an occasion. 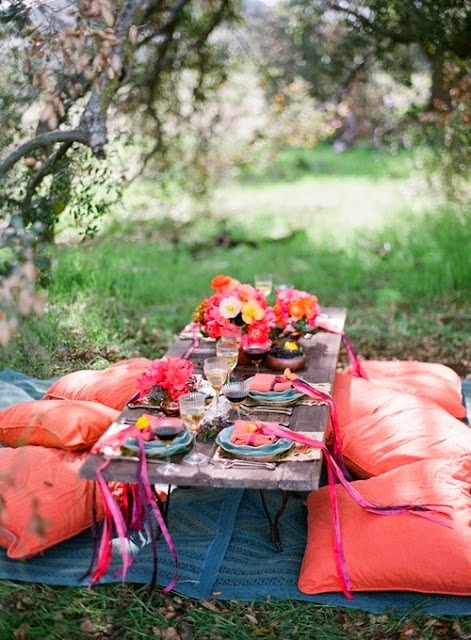 You don't want your guests to feel uncomfortable with what they are wearing because they didn't know it was a picnic. 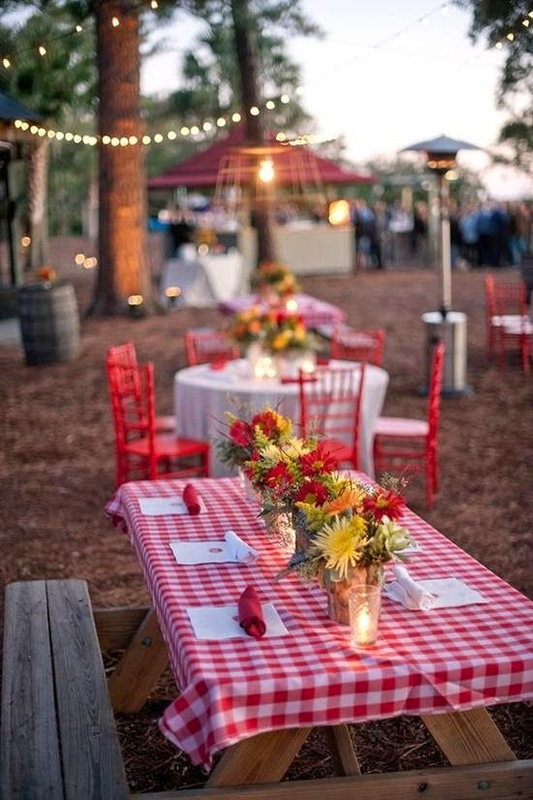 If you are having the wedding at the same place as the picnic reception than I would suggest chairs be used for the comfort of your guests during the ceremony. Some couples choose to have their guests group around them for the ceremony itself. This choice is yours to make. 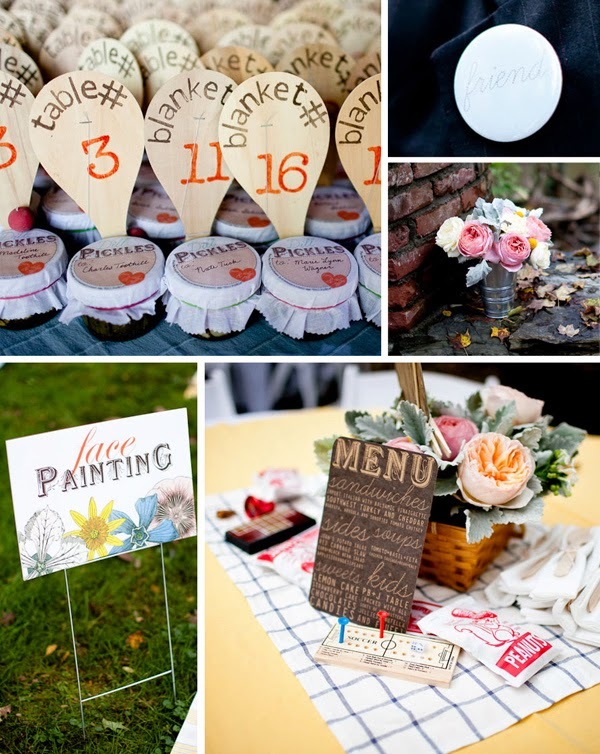 Make it a comfortable cozy setting by passing out blankets and pillows for your guests or you can have them already laid out and even with blanket numbers as you would for tables. 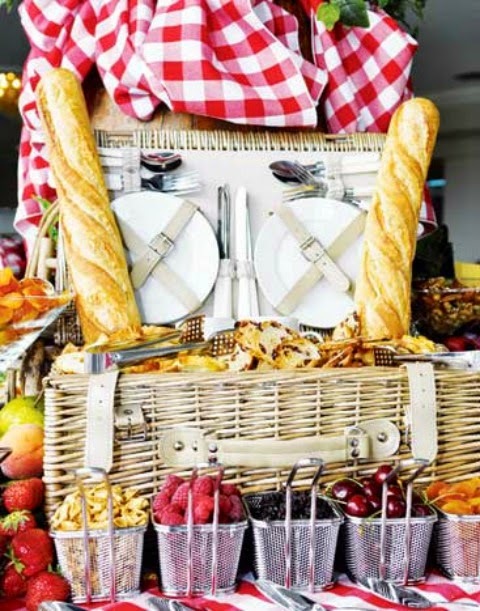 Each guest gets a lovely picnic basket or box already pre-packaged with the food. This makes it less messy and more accessible to each person. Don't forget to add a little decoration to the basket or box. If you are grilling or doing something you will need to barbeque than have all of the food, except the food you are preparing hot, in the basket or box. Don't forget a plentiful supply of refreshing beverages to help beat the heat. Have a delicious wedding cake and/or dessert spread ready for them to enjoy. It would be a good idea to think about having a few pairs of sun glasses for those who didn't bring them. Also, some sun lotion with a high SPH for persons with sensitive skin when it comes to a lot of sun. A Few wide-brimmed hats, again for those who might not bring or didn't realize they might need one. Use hay bales placed every few feet to mark off the area you are using. You can do the same thing with potted plants or flowers and invite your guests to take one as a wedding favor and remembrance of their day with you. Actually the truth is you do not need a lot of decorations for this type of reception. A lovely setting and picnic area, and nature has done some of your best decorating and the price is right. The games you offer should be games that are fun but do not get in the way of the picnic blankets and those who just want to eat and visit. As a wise idea, you should have a back-up plan in case the weather chooses not to cooperate. Make sure there is a tent or canopy where they could go for shelter and, if to hot, shade. May your day be full of joy, happiness and romance with those you care most about.